Zest is visualization toolkit for Eclipse. 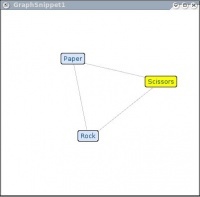 The primary goal of Zest is to make graph based programming easy. 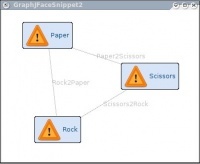 Using Zest, Graphs are considered SWT Components which have been wrapped using standard JFace viewers. This allows developers to use Zest the same way they use JFace Tables, Trees and Lists. Please visit our main page at http://www.eclipse.org/mylar/zest.php.